1. Since you will be changing the times at which periodic tasks run, you should have a good understanding of what those tasks do. This is so that you don't run CPU intensive tasks too frequently or critical tasks too infrequently. A unique number identifying the task. This field is not editable. A short description about what the task does. This field is not editable. The name of the module on behalf of which the task will be run. This field is not editable. The date and time at which the task last ran. This field is not editable. Force the task to run next time the cron job runs (with default settings, the cron job runs every 5 minutes) even if it is not scheduled to run. Valid values are yes and no. 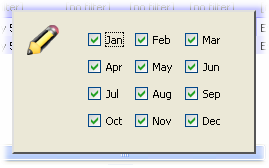 If it is set to yes, it will automatically be set to no the next time the task runs and completes successfully. Please note that disabled tasks cannot be forced to run using this field. The edit mode for this field is a dropdown list. The status of the task. Valid values are enabled and disabled. 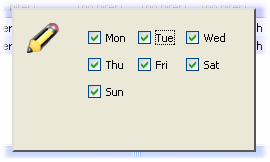 If it is set to disabled, the task will not run even if it is scheduled to run. Force Run Next Time will also not have any effect if this field is set to disabled. The edit mode for this field is a dropdown list.